Amber Lee is the founder of her blog, Oh She Went Global, which helps millennial women worldwide become healthier through self-improvement. She believes that individuals should have the power to make choices that positively affect their health, and that personal behaviors affecting health are often tied to self efficacy; she uses these beliefs to propel her unconventional wellness blog and brand. Amber has been intentional about establishing a global mindset when it comes to health and healthcare. 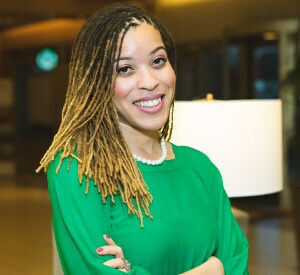 After receiving her B.A in global affairs and global health from George Mason University, she received her MPH in epidemiology from The George Washington University. With specializations in chronic diseases and HIV, her Masters thesis focused on examining associations between HIV and mental health conditions among low-income women in Washington, DC. On her blog, Oh She Went Global, Amber discusses aspects of health that are often overlooked, such as mindfulness, productivity, and self-assuredness. Previously, she spent several years working on the International Affairs team for the Center for Biologics Evaluation and Research at the Food and Drug Administration. When she’s not working, reading, or writing, you can find her practicing Spanish with a complete stranger, or trying irresistible food at new restaurants.